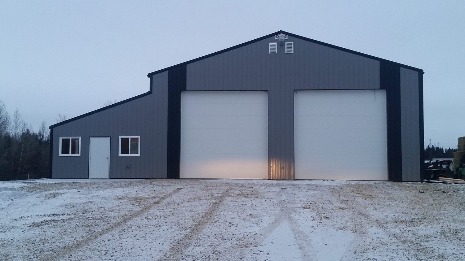 Whether you need a work space for repairing farm equipment, for woodworking or restoring cars, a Goodon Building is the right solution for you. All Buildings can be designed to meet your specific needs. A bright heated shop will give you the comfortable working area you need to do proper maintenance to your equipment. Keeping a chore tractor in a heated shop keeps the engine warm on cold winter days. A grain truck or highway tractor parked in a heated shop, makes it easy to take advantage of marketing opportunities all year long. A bright heated shop gives you a comfortable work area all year round. Keep work vehicles or your work projects going 24 hours a day, 365 days a year.